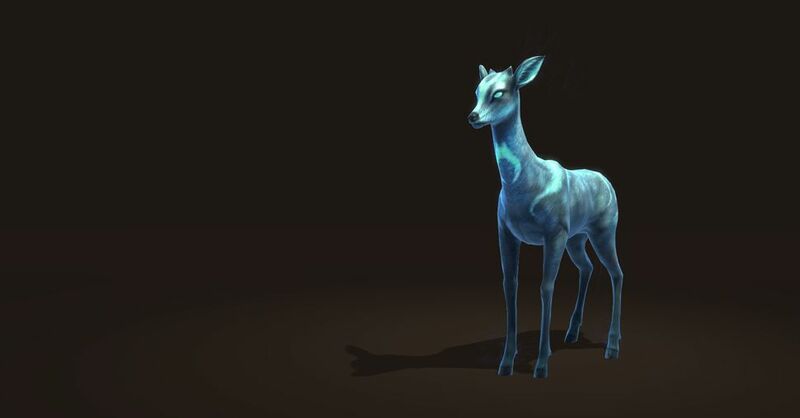 Among the strangest and most wonderful beasts found in the Forest Maze, the Moon Does and Sun Deers are actually part of the same species, called Twilight Stags. 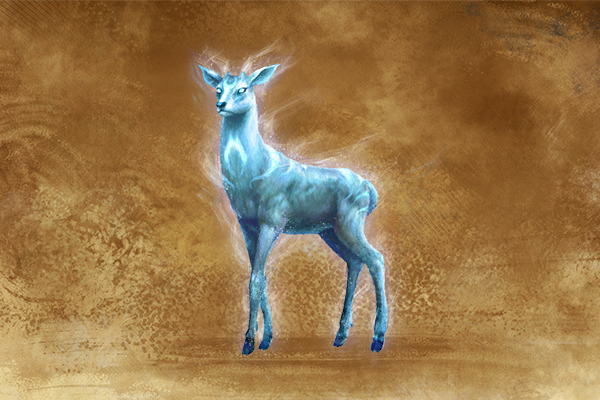 Moon Does are sweet, peaceful creatures – but they are more than able to defend themselves if something or someone threatens their fawns. More than one poacher met a nasty end, trampled to death by vengeful Moon Does. 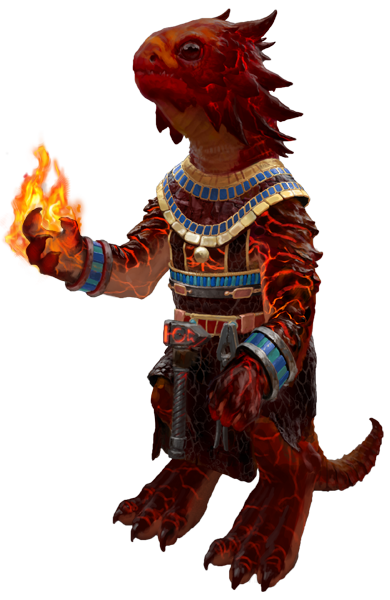 The creature's power and agility makes it resilient to any form of movement reduction, magical or not. 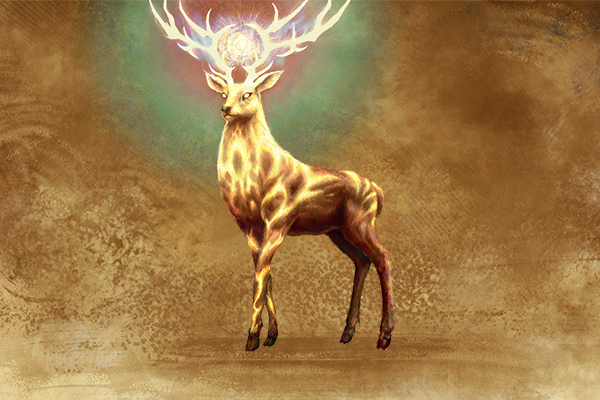 Male Twilight Stags are diurnal creatures, taking their powers from sunlight. 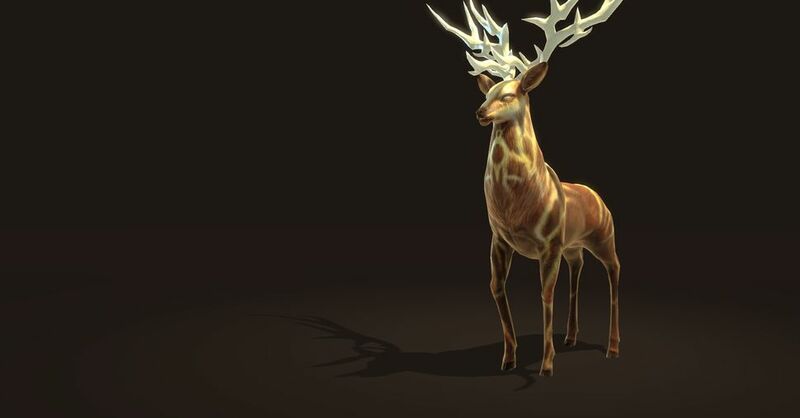 Called Sun Deers, they often sport spectacular antlers that always take shapes reminiscent of the sun or stars. Both males and females are magnificent creatures, but the males especially radiate an appeasing and soothing aura. The vicinity of this creature is a blessing for all allies. 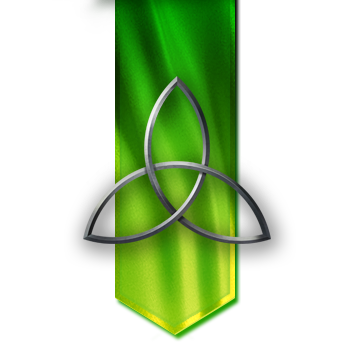 Morale is increased dramatically, as well as luck.